How to watch Lab Rats: Season 4 (2016) on Netflix France! Yes, Lab Rats: Season 4 is now available on French Netflix. It arrived for online streaming on April 13, 2019. We'll keep checking Netflix France for Lab Rats: Season 4, and this page will be updated with any changes. When high schooler Leo moves into his stepfather's home, he's surprised to learn he has three stepsiblings -- each with bionic powers. New family, new house. Typical teen problems. Except the stepdad's a billionaire and his kids are bionic wonders. Season 1 of Lab Rats has 20 episodes. Because different Netflix countries have different availability for episodes, you'll need to check the episode listing below to see which are available in France. Leo discovers three teens with bionic abilities living in the cellar of his new home. Leo's life greatly improves when he takes his bionic, superhuman siblings to school. On the Lab Rats' first day of school, Leo hopes his siblings will help him get a better seat at lunch. When Adam tries to help Leo ask his crush to a dance, she takes a shine to Adam instead. The Lab Rats are tasked with their first mission when Davenport's high-tech locomotive becomes a runaway train. In an attempt to prove he's a model student, Chase installs machines to improve the school. Leo tries to help Davenport set up for his annual conference but instead ruins a prized invention. Adam, Bree, and Chase forget to invite Leo to his birthday party. 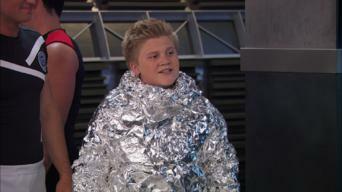 When Adam refuses to cheat by using his bionic abilities to win a contest, Leo tricks him into activating them. Can I Borrow the Helicopter? When Leo's crush comes over, he borrows Davenport's high-speed helicopter to impress her. Davenport's time machine brings a future Leo to the present to prevent the kids from embarking on a deadly mission. Growing bored with their abilities, the Lab Rats swap bionic chips for the day. 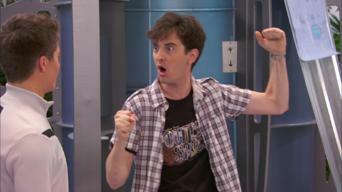 With Leo's parents on vacation, things go awry when he plays with a new gadget that creates problems for the Lab Rats. When Adam, Bree and Chase learn about chores and earning an allowance, they soon become obsessed with making money. Tasha takes the kids on a beach outing, but there's a catch: They're forbidden to use technology. To combat Trent's bullying, Leo signs up for a one-on-one basketball game against his rival. While working in Davenport's lab, Leo accidentally unleashes an evil Internet virus. When the kids are caught using bionics on camera, they must recover the evidence before anybody sees it. 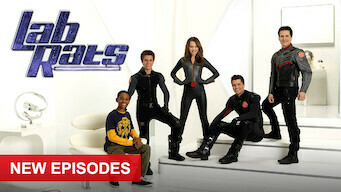 The Lab Rats befriend a new kid at school, but Leo quickly realizes that there's something strange about him. Chase accidentally discovers that he has a hidden ability: telekinesis. Season 2 of Lab Rats has 26 episodes. Because different Netflix countries have different availability for episodes, you'll need to check the episode listing below to see which are available in France. When the Lab Rats take Davenport's self-driving car for a spin, Leo becomes trapped inside! After failing to study for a test, Leo tries to cheat off Bree using Davenport's "Fly Spy" device. Feeling like the least "exciting" person in the house, Leo takes on a challenge to prove his worth. When the Rats return from a mission, Davenport discovers that Bree was exposed to a toxic chemical. Chase and Leo enter a robot battling competition where they hope to defeat the returning champion. Chase outsmarts Adam with a prank that hurts not only his aura of invincibility but his confidence. The Lab Rats confide in Leo their frustrations about not being able to do normal teenage things. Leo is inadvertently sucked into Davenport's new invention, which transports him to a parallel universe. Convinced that his new "magic" skill will boost his rep, Leo signs himself up for a talent show. Leo follows Marcus to a secret lair where he overhears Marcus talk to an unseen mastermind. The Lab Rats inadvertently ruin Davenport's new $15 million painting! When Adam gets his driver's license, Davenport sets out to buy him a new, safe vehicle. Davenport and his new obnoxious neighbor agree to settle their differences with a stock car race. With Douglas now revealed as Marcus' master, the two infiltrate Davenport's lab and kidnap him. 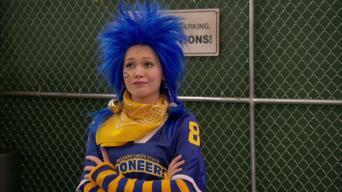 Now alone, except for Eddy, Leo must figure out how to rescue Davenport and the Lab Rats. Leo uses a memory erase device on Davenport and accidently erases 25 years rendering him a teenager. Chase heads to the arctic to retrieve rare minerals but soon finds himself trapped in an avalanche. To get out of training duties, Adam and Leo use Davenport's cloning device to create another Adam. The big game is approaching and Chase is assigned to guard the school mascots dingo costume. Trent the bully is tormenting Leo again and he has had enough! Perry gets Davenport to create a robotic version of herself that will help patrol the students. Chase inadvertently shrinks Adam down to two inches! Bree is tired of being the target of the boys pranks and partners with Davenport for payback. It's Christmas Eve and the Lab Rats have to go on a rescue mission to Davenport's secret facility in the frozen tundra. When Trent demands that Leo and Chase help him study for an important science test, they use the opportunity as payback for his years of bullying. Davenport is under attack by a hacker that has not only left Davenport Industries in ruins but has stolen his entire fortune. Season 3 of Lab Rats has 26 episodes. Because different Netflix countries have different availability for episodes, you'll need to check the episode listing below to see which are available in France. The Lab Rats hide out on a cargo freighter to elude the FBI, but a submarine bearing down on the ship could force them to reveal their location. After their adventure with the submarine, the Lab Rats return home but fall under the dangerous influence of the Triton app. To raise money to rebuild the destroyed lab, Davenport attempts a dangerous stunt with his new specialized jet wing. To appease principal Perry, the Lab Rats take her on a fake mission -- and inadvertently put Mission Creek High in the path of a very real rocket. Bree takes a new job but soon runs into conflict with Chase at work, and Leo and Adam blow off chores to build a turbocharged zip line. Adam and Chase use a phone to video themselves showing off their bionic powers -- and then lose the phone, risking their exposure to the world. Leo invents a pair of attack orbs for protection, but instead they cause havoc when they fail to distinguish the good guys from the bad guys. Armed with incredible new bionic powers, Krane takes Tasha and Leo captive in order to force a showdown with Chase, Adam and Bree. Forbidden by Davenport to travel abroad and generally fed up with her bionic abilities, Bree destroys her bionic chip and deserts the team. When Donald tries and fails to rebuild Bree's bionic chip, Leo secretly enlists the chip's original maker, Douglas, for some help. At a sci-fi movie convention, the team tangles over who gets to meet the film's star, and Leo and Davenport compete to land a role in the sequel. Douglas unlocks new abilities for Chase so that he will not feel overshadowed by Adam, but the new shift in power throws the team off-kilter. Chase and Adam use an old cyborg shark for a prank, but the robot's artificial intelligence goes haywire, trapping the gang in the house. 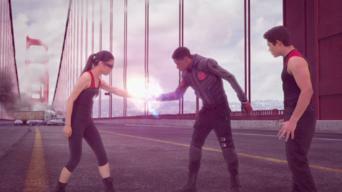 When the Lab Rats are secretly captured on video using their powers, the clip goes viral and exposes their secret. But who filmed them, and why? Discovering that Krane was behind the video that blew their cover, the Lab Rats attack -- only to find that Krane has a more sinister secret. During a strange lunar eclipse, the team discovers that principal Perry has been replaced by a dangerous alien lookalike. Bree plays a prank on Adam right before a big school dance, but the laughs are on her when the joke backfires. Meanwhile, Leo snoops on Davenport. Leo's stunt to impress a girl with his bionic arm backfires, and the team schemes to get agent Graham ousted and Davenport reinstated as their leader. Adam jealously sabotages Chase when he takes a girl out on a date, and Leo and Bree suspect principal Perry of foul play. The Lab Rats add real bionic powers to their action figures to boost sales of the toys, but the new features prove to be a little too effective. With the Lab Rats distracted over petty squabbles about their appearance on a reality TV show, Krane mobilizes his bionic army to take over the world. To defeat Krane's bionic army and devastating Triton app, the Lab Rats must stop their bickering and find a way to unite their powers. With Davenport still in critical condition, Leo makes a risky attempt to save his life. Meanwhile, Krane's former bionic soldiers follow Adam home. 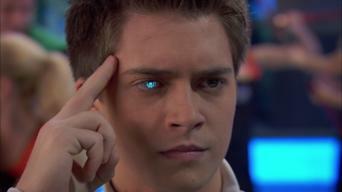 Adam becomes a mentor, but Leo is upset to learn that he must enroll merely as a student at the Bionic Academy. Meanwhile, Chase confronts an enemy. Davenport leaves Adam, Bree and Chase in charge of the Bionic Academy while he celebrates his anniversary; Leo invites Janelle to the island. Angry that Leo was picked for a mission instead of him, Spin talks Bob into going on an unauthorized mission to prove their mettle. 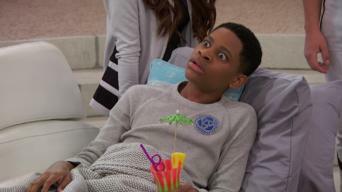 Season 4 of Lab Rats has 26 episodes. Because different Netflix countries have different availability for episodes, you'll need to check the episode listing below to see which are available in France. 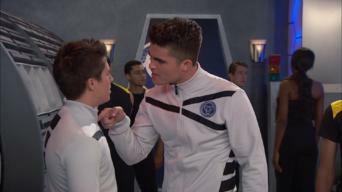 Seeking revenge on the Lab Rats for the death of his father, Sebastian stirs up a rebellion, with a plan to murder Davenport. Leo persuades Spin and Bob to aid the captured bionics and fight with them against Sebastian, but will their combined power be enough to triumph? Adam, Bree and Chase have cooked up a plan to spirit some of their bionic students off of the island, but they've misplaced Bob and Spin. There's been a strange string of happenings at the academy, and they've got everybody worried that there's a new danger lurking. Everybody has their own reaction to the reappearance of Douglas's lost dog, Otis; Chase is allergic, Adam is enthusiastic. The team is suddenly overwhelmed with mission alerts on account of Leo making extra efforts to get attention for himself. It's time for the students' -- and mentors' -- skills to be tested, so they go up against each other in two groups, led by Adam and Chase. Tasha begins to understand the risks Leo has been assuming when she comes to his aid after he's hurt on a mission. The academy is in peril when Douglas and Chase bring back to life a previously extinct species of spider and it gets loose. When a bionic student with a commando app starts terrorizing the academy, Chase and Bree decide they must activate Spike in order to deal with her. Chase and Davenport create a groundbreaking energy source, and Chase is seriously injured when the Incapacitator tries to steal their invention. The visit of Dr. Ryan, Davenport's most trusted scientist, goes awry when a design flaw on the space elevator sends Davenport out into the ozone. Davenport's former colleague Giselle Vickers wants to make a movie about the bionics, but her sinister motives are not exactly rated for children. With Giselle and her lead actor, Troy West, on the rampage and intent on deactivating Chase, his friends race to find him and prevent his destruction. Chase, Leo and Douglas race against time as they try to find a remedy for the killer virus Krane has given to all of the bionic students. 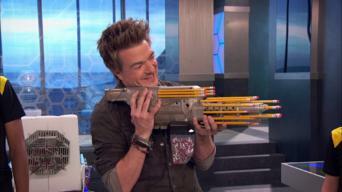 Douglas comes up with a new invention, which recreates Chase's super smarts. He delivers it to Bob and some of the other students. When the home system, Eddy, is given a humanoid form by Davenport, it does very well working closely with Perry. Perry returns from a nearby island with an unusual souvenir: a metal skull. Strange events that follow have everyone convinced the skull is cursed. Jealous of the attention paid to his siblings, Leo forms his own team with Taylor and Logan but is wracked with guilt when one of them is injured. Leo and his team rush to help when Chase and the others are in extreme danger, and Leo uses all of his strength and courage to prove his worth. A chance to score tickets to an important college football game pits Perry against the Davenports in a tailgate challenge. A new bionic brother named Daniel enters into the picture. Up to now, he's been living with adopted parents as a normal boy. 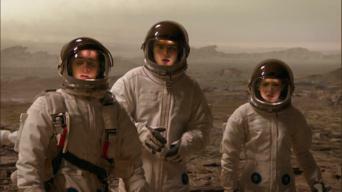 Davenport takes his family to visit the first human space colony, but their visit quickly goes awry when the communications satellite appears to fail. As the team battles against a former foe and his ally who want to destroy all human life on Earth, Adam must prove he is mature enough to contribute. After a system upgrade, the students of the academy suddenly vanish, and the team realizes that the kids have become pawns in a nefarious game. The bionic heroes put their lives at risk to face off against the deadly duo who have kidnapped the academy's students in a bid for ultimate revenge.